Please note that DONGTE-- DTA manufactuer exporter to Africa . People may find it daunting to export to Angola but not with DTA. Email us now at tomking@dtatruck.com and discover the DTA difference. DTA is known for its superior integrity, great customer service, great prices, great selection, great quality and great speed of delivery. The founder members of the East African Community Customs Union are Kenya, Uganda and Tanzania. In December 2006, Burundi and Rwanda were admitted into the Union. Members of COMESA are Angola, Burundi, Comoros, Democratic Republic of Congo, Djibouti, Egypt, Eritrea, Ethiopia, Kenya, Libya, Madagascar, Malawi, Mauritius, Rwanda, Seychelles, Sudan, Swaziland, Uganda, Zambia and Zimbabwe. Finally, South African Development Community (SADC) is comprised of Angola, Botswana, Democratic Republic of Congo, Lesotho, Madagascar, Malawi, Mauritius, Mozambique, Namibia, South Africa, Swaziland, Tanzania, Zambia and Zimbabwe. 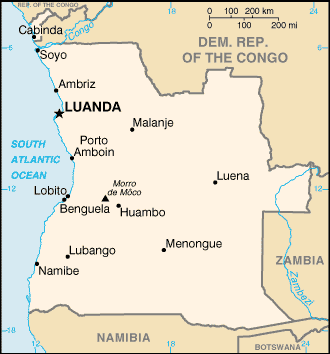 Angola is located on the west coast of Africa, south of the equator. Angola is slightly less than twice the size of Texas, with a total area of 1,246,700 sq km (481,353 sq mi), including the exclave of Cabinda (7,270 sq km/2,810 sq mi), which is surrounded by the Democratic Republic of the Congo (DROC— formerly Zaire) and the Republic of the Congo (ROC). Angola proper extends 1,758 km (1,092 mi) SE-NW and 1,491 km (926 mi) NE–SW; Cabinda extends 166 km (103 mi) NNE–SSW and 62 km (39 mi) ESE–WNW. Angola proper is bounded on the N and NE by the DROC, on the SE by Zambia, on the S by Namibia (South West Africa), and on the W by the Atlantic Ocean. Its total boundary length, including Cabinda's, is 5,198 km (3,233 mi). The name “Angola”comes from the Mbundu word for “king”-ngola. In pre-colonial southern Africa, the area was home to some of the continent’s richest kingdoms, which welcomed European merchants and missionaries in the 15th century, only to be destroyed by the transatlantic slave trade in the 16th century. The abolition of the trade – a politically and economically destabilizing event — was followed by the repressive taxation and forced labor regimes of Portuguese colonialism. Although much of the rest of the continent underwent rapid decolonization in the 1960s, the armed struggle for independence in Angola took nearly 15 years and perpetuated internal divisions that turned into a decades-long, ongoing civil war. Angola, about the size of Texas and California combined (481,351 square miles), is located on the southwestern coast of Africa (South Atlantic Ocean). It borders the following countries: Democratic Republic of Congo, Republic of Congo, Namibia, and Zambia. The coastline extends a distance of nearly 1,000 miles from Angola’s oil-rich enclave of Cabinda north of the mouth of the Zaire River and is separated from the rest of the country by the Democratic Republic of the Congo to the border of Namibia. The country stretches inland for some 950 miles, a third of the way across Africa. The terrain features a narrow coastal plain, which rises abruptly to a vast inland plateau. Angola’s interior elevations range from 3,000–7,000 feet, with the upland region forming one of Africa’s largest watersheds. The climate is semiarid in the south and along the coast to Luanda. The north has a cool dry season (May to October) and a hot rainy season (November to April). Natural hazards are locally heavy rainfall, which causes periodic flooding. Both specific and ad valorem duties are levied; but, as a member of the World Trade Organization, Angola is reviewing the need for reductions in tariffs and non-tariff barriers. Specific duties are assessed by weight. Additional taxes are levied on luxury items and preferential treatment is accorded to goods from Portugal, Mozambique, Guinea-Bissau, Cape Verde, and São Tomé and Princípe. All imports require a license and are handled by one of several state companies. Most exports are similarly handled by state agencies. Every cargo destined for Angola must have an Import Licence and every Bill of Lading has to be accompanied by a Loading Certificate. Pre-inspection is required on used vehicles. There are no restrictions but front seat safety belts are required by law. The duty on autos is 60%, the tax is 15%, and the surtax is 35%. Duty rates are subject to change at anytime without notice. Angolan Customs Authorities take time to process documents. Use an official agent (customs broker) to minimize the clearing problems! Angola is a Left Hand Drive country and we are exporting Right Hand Drive new and used Toyota Hilux Vigo, Toyota Hilux Tiger, Mitsubishi L200 Triton, Nissan Navara and a host of other 4x4 pickups and SUVs to Zimbabwe via Durban port. Zimbabwe allows import of both RHD and LHD vehicles but it is safer to use RHD vehicles. A 2000 law requiring that all cars brought into the country be no more than 3 years of age has been informally relaxed for non-commercial users. The only safe means of traveling in the city is by automobile. As with all other types of infrastructure in Angola, roads have been poorly or infrequently maintained in the past 20 years. Potholes are typically deep and numerous. High-clearance, heavy-duty suspension vehicles are recommended. Cars brought into Angola by nonresidents are considered in transit, and no taxes are levied. Only leaded fuel is available, and although the lines are long at peak hours, there is no widespread shortage of fuel. Fuel prices have risen considerably over the last year. Roads to the interior are not deemed safe for general travel. Most German and Japanese and some American cars can be serviced in urban centers. However, standards of service vary from good to poor, depending on the particular vehicle and on the particular mechanic. Frequently, parts for vehicles must be ordered from the country of manufacture and extended waits for repairs are commonplace. To avoid these delays, we recommend that you purchase most spare parts and filters along with your vehicle. Dealer service for the most popular makes and models is available, but please note that Zimbabwean or South African dealers will not acknowledge Toyota Thailand's warranty. Toyota, Nissan, Honda, Mazda, Isuzu, Mercedes Benz, BMW, VW, and Opel are all popular in the South African market. Local third-party insurance is available and required by law. Full coverage purchased locally is expensive and not reliable when paying for damages. Vehicle owners may wish to obtain hard-currency insurance from outside Angola. There are repair facilities in the city for GM, Dodge, Jeep, Ford, Toyota, and Nissan vehicles. However, it is helpful to bring basic items such as air and oil filters, fan belts, spark plugs, etc., with you. A heavy-duty battery is required, and air-conditioning is a must year round. The poor road conditions also cause suspension systems and tires to wear rapidly. Any vehicle shipped to Angola should have heavy-duty suspension, radial tires, and undercoating. Carburetors should be adjusted to low-octane leaded gas and catalytic converters removed, since locally available gasoline is of poor quality. Because of the extremely high rate of pilferage from the Luanda port, do not ship car radios, stereos, or other removable items with the vehicle. It will take about a month to receive plates before the vehicle can be driven. 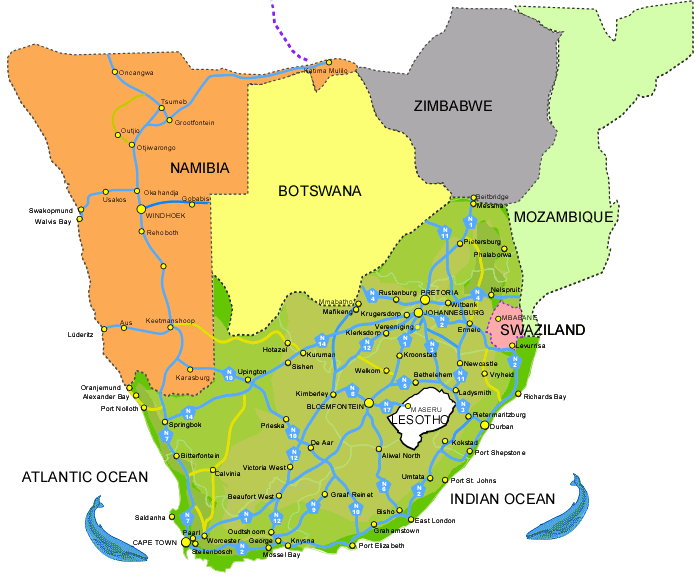 The Southern African Customs Union (SACU) is the oldest Customs Union in the world. SACU came into existence on 11 December 1979 with the signature of the Customs Union Agreement between South Africa, Botswana, Lesotho, Namibia and Swaziland. It entered into force on the 1st of March 1970, thereby replacing the Customs Union Agreement of 1910. It was renegotiated in 1994. SACU revenue constitutes a substantial share of the state revenue of the BLNS (Botswana, Namibia, Lesotho and Swaziland) countries. Products imported into South Africa can therefore circulate freely within these 4 countries. The Common Market for East and Southern Africa (COMESA) has been operating, in one form or another, since 1981. COMESA aims to promote economic integration via the removal of barriers to trade and investment among COMESA member states. Moreover, COMESA aims to advocate for infrastructure development, and development in science and technology. Economic integration is envisaged to progress from the Free Trade Area (FTA) to an economic monetary union. The FTA became operational on 1st November 2000 with nine participating countries initially. The nine member countries that are implementing zero tariffs are Egypt, Sudan, Djibouti, Malawi, Madagascar, Mauritius, Zambia and Zimbabwe. However in January 2004, Burundi and Rwanda joined the FTA, bringing the total number of participating countries to eleven. The COMESA FTA is an agreement among members not to apply customs duties or charges on goods traded amongst themselves. The eligible goods for duty-free treatment must meet the agreed upon Rules of Origin. Members also agree to eliminate all non-tariff barriers to trade between them. A COMSEA Certificate of Origin is required for each consignment of goods and is obtained from the Revenue Authority in respective member countries. The Southern Africa Development Community (SADC) aims to promote regional integration and sustainable development in the regional community. Members of the Southern African Development Community (SADC), comprising 14 countries, signed a Trade Protocol, which calls for the implementation of a Free Trade Area. Each country has negotiated two reduced tariff schedules. One schedule is applicable only for South Africa, and another schedule for all other SADC members. Zambia's implementation of her offer, effective 30th April 2001, is provided to those countries that provide Zambia with the SADC reduced tariff schedule. The reduction of tariffs to South Africa provide for delayed liberalization, while the schedule to other members provide for broader and faster access to the South Africa market. The tariff schedule applicable to SADC members, with the exception of South Africa, has three categories. Category A products are those products which go to zero-duty immediately upon implementation. The tariff for Category B products gradually goes down to zero-duty over a period of eight years, and the tariff of Category C products reaches zero-duty twelve years after implementation. Category C products are known as sensitive products, and include for Zambia meat and dairy products, tea, some flours, raw sugar, cement, textiles and clothing, and motor vehicles. Plans are currently underway to establish a Free Trade Agreement by 2008, and a SADC Customs Union by 2010. A SADC Certificate of Origin is required for each consignment of goods and is obtained from the Revenue Authority. South Africa is one of Bloomstar's - and by extension Soni Motors' - global hub. Our Gold Partners have dealership in Durban Port and after keeping the vehicles suitable for South African markets, they resell the rest to the customers who flock to Durban port from all parts of Africa. We are exporting a number of new and Soni Quality Toyota and Mitsubishi vehicles to South Africa, some for South African consumers while the vast number of vehicles are imported for the express purpose of re-export to other Southern African countries. The main zones of economic concentration are located in the main South African conglomerations: Johannesburg / Pretoria, Cape Town and Durban. The entire motor vehicle imports and exports (over 175,000 units in 2003/04) are handled through two major car terminals at Durban, East London with an additional number handled at Port Elizabeth. Durban Container Terminal (DCT) is South Africa's largest and one of the busiest and best equipped in the southern Hemisphere. DCT serves as a pivotal hub for the entire southern Africa region, serving trade links to the Far East, Middle East, Australasia, South America, North America and Europe. 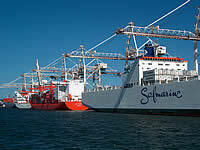 The terminal also serves as a transshipment hub for East Africa and Indian Ocean islands. The Durban Car Terminal is one of Africa's largest car terminals. It has continued to expand and during 2003/04 handled a total of 139,189 motor units. This is expected to increase beyond 160,000 for 2004/05. The terminal occupies a dedicated area with exclusive access to a single berth (R berth) via an overhead bridge and operates a 24-hour, 365 day a year service. A multi level parking facility, commissioned in May 2004 increased the yard capacity to 7,000 motor units. A further addition to the terminal is under consideration. The East London Car Terminal has provision for 2,800 motor units in a modern multi-level facility. The terminal is currently (June 2004) applying for ISO9001:2000 accreditation. During 2003/04 East London handled a total of 34,900 motor vehicles. Vehicles for export are stored in a four-storey building with an annual throughput capacity of 50,000 motor units. The terminal is linked to the adjacent DaimlerChrysler manufacturing plant by a dedicated private road and opens onto its own berthing area of two berths. A port-deepening programme currently underway will permit larger car carrier vessels to access the terminal. As an example, the cumulative duties and taxes payable on a car with a value of approximately R200 000 are ±70% of the market value. All vehicles with a value for ad valorem customs duty purposes of less than R130 000 do not pay ad valorem customs duty on importation into South Africa. If the original purchase invoice is not available, three written valuations must be obtained from motorcar dealers in the country of export to assist the customs clearance process in South Africa. Please Note – Import Permits are only forwarded to South African addresses. Your attention is drawn to the fact that the importation of left-hand drive vehicles is generally prohibited if registered in the name of an importer on or after 1 January 2000 unless authorised by the SABS.